A newly-married woman from the UAE recently filed for divorce from her husband, who she accused of being too cheap and making her pay for everything. Arabic newspaper Al Baiyan reports that the unnamed woman filed a case in the Personal Status Chamber at Abu Dhabi court, asking for a divorce from her Iranian husband, even though they were technically still in their honeymoon. She claims that the man, who is 13 years her junior, asked her to pay for everything, including groceries and bills for electricity and water. The scorned woman is apparently so determined to be rid of her husband that she agreed to waive all of her rights just to get the divorce. The woman complained that her “cheap” husband specifically asked her to register all utility bills under her name, claiming that he had lost all of his personal documents. Her attorney told the court that the man even asked her to handle all the registration for services, while he had his personal documents processed. A newlywed couple in Kuwait recently made history for having the shortest marriage in the country’s existence. They decided to go their separate ways just three minutes after getting married. 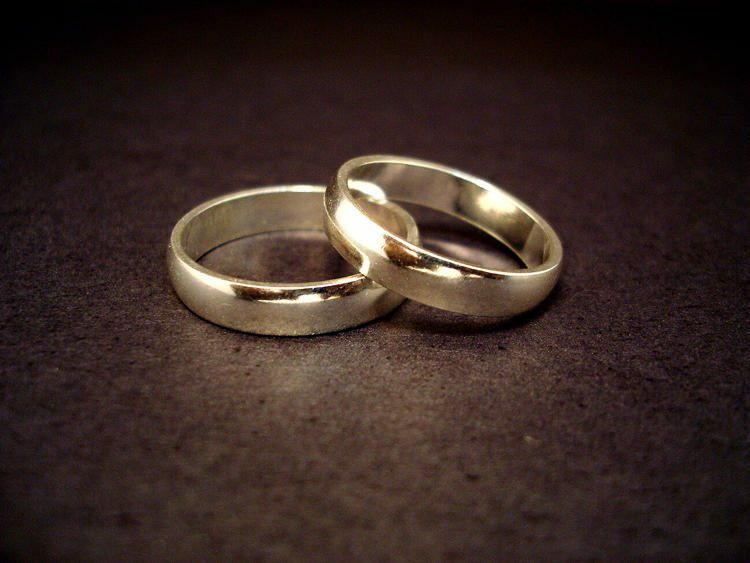 Last month, Kuwaiti media reported the bizarre case of a couple who ended their marriage before even leaving the courthouse they got married in. The two had just signed their marriage contract in front of a judge and were walking out of the courthouse when the bride accidentally tripped. Instead of helping her up, the groom reportedly insulted his wife by calling her “stupid” for slipping. That was apparently too much for the woman to bear, so she turned around and asked the judge to dissolve their marriage on the spot. They had been married for only three minutes. A 35-year-old Japanese man who shunned romantic relationships with real women after being humiliated and bullied by them recently married a popular virtual pop-star named Hatsune Miku. Akihiko Kondo had been planning his dream wedding to the love of his life since March, and on November 4 the two finally tied the knot during a ceremony in Tokyo attended by around 40 guests, including a member of the Japanese Parliament. Unfortunately, his mother, refused to attend the event and so did all of his other relatives. Not being there on her son’s big day may sound cruel, but Kondo’s mother apparently couldn’t accept the fact that he would rather marry a two-dimensional virtual idol rather than look for love in real life. 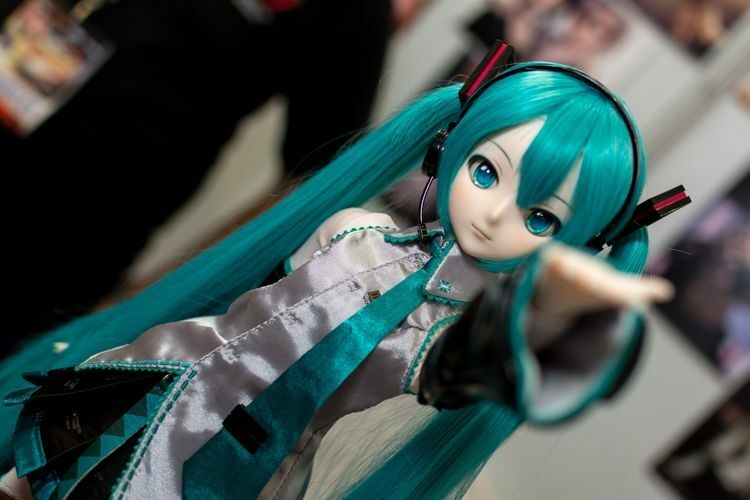 Akihiko Kondo married Hatsune Miku, an animated 16-year-old hologram with huge anime eyes and aquamarine pigtails, because he simply wasn’t interested in real women. A 21-year-old woman from Hong Kong who though she was undergoing a ‘mock wedding test’ to secure a job as a wedding planner ended up officially married to a total stranger from mainland China. The woman, who wished to remain anonymous, told authorities that her ordeal began in May of this year, when she saw a social media posting about a job as a make-up artist apprentice. It offered a monthly salary of HK$14,000 (US$1,800) as well as free training, and required no previous work experience at all. Most people would call that “too good to be true”, but the young woman decided it was the opportunity of a lifetime. Turns out she was wrong. For some people, the pursuit of happiness and love is worth risking it all, even if it means having an extramarital affair. But sometimes, you might be risking a lot more than you realize. For example, Texas resident Francisco Huizar III had a 16-month affair with Danielle Swords, the wife of Keith King, owner of a BMX stunt show. When the relationship was discovered, it ended up costing Francisco a whopping $8.8 million! Francisco and Danielle’s initial meeting actually occurred in 2015 at a company bike show in Texas, where Francisco had been working. At the time, Danielle had been married to Keith for over five years already. But this didn’t stop the torrid affair from happening. In fact, Francisco often went to see Danielle — on Keith’s dime. After making the first move on Danielle, Francisco then followed her around faithfully, renting out a hotel room near the King house, joining her on a spa day (Keith’s treat), and staying in a hotel near Danielle when she went on a birthday trip (again, Keith’s treat). 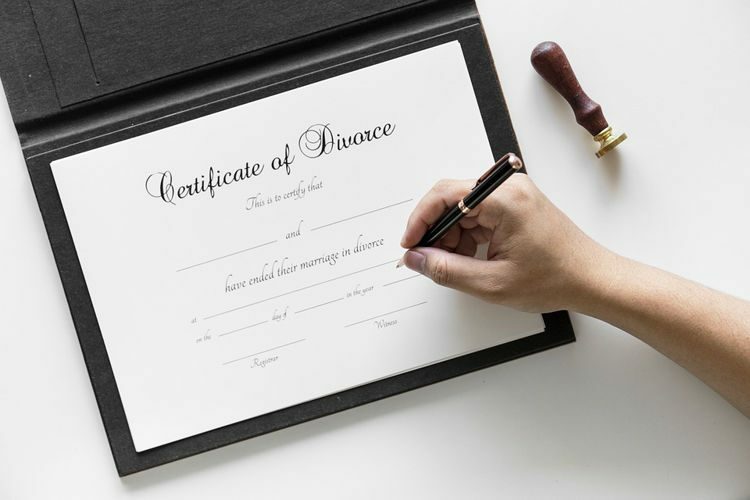 A woman who has been trying to divorce her husband for three years was recently denied the right to do that by the UK’s highest court, which ruled that an unhappy marriage that had broken down for years was not grounds for divorce. 68-year-old Tini Owens had been hoping to finally end her 40-year marriage to Hugh Owens, 80, but the five judges at the UK’s highest court unanimously upheld rulings by a family court and the court of appeal that the two must stay married at least until 2020, when they will have been separated for five years and Tini will be eligible for a divorce without consent or evidence of fault. 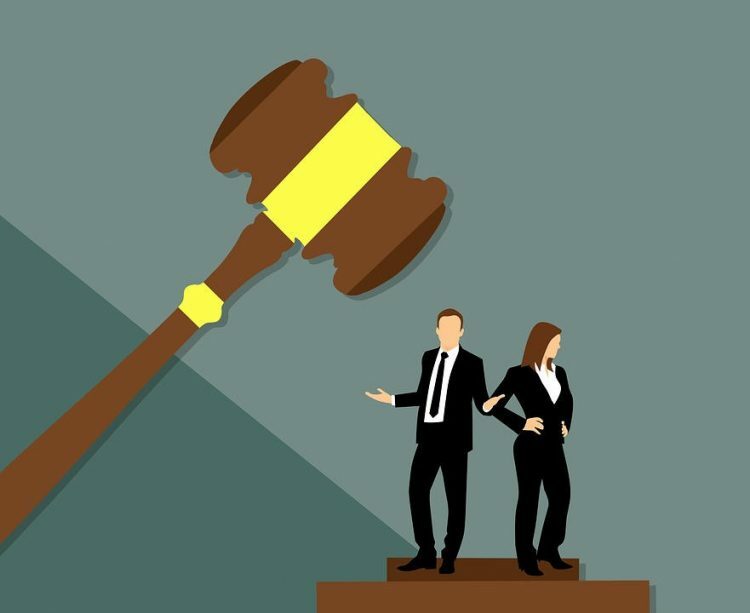 The decision has been met with criticism from divorce lawyers who believe it makes people more likely to falsely blame their partners and come up with embellished and inflammatory causes for divorce, to make sure they don’t suffer the same fate as Tini. 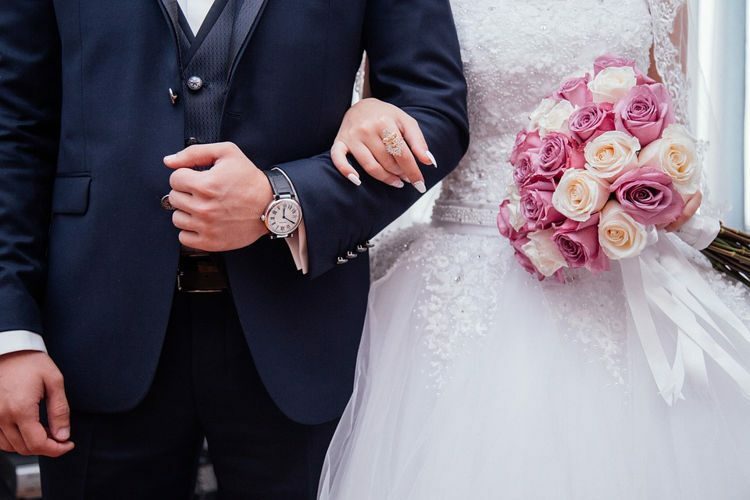 A Dubai couple’s union is a serious contender for the title of shortest marriage in history, after the groom decided to divorce his bride less than 15 minutes after marrying her. You may be wondering what on Earth could make a man to divorce his wife so fast. Well, in this case, the answer is money, more specifically the dowry payment he had agreed to pay the bride’s father. 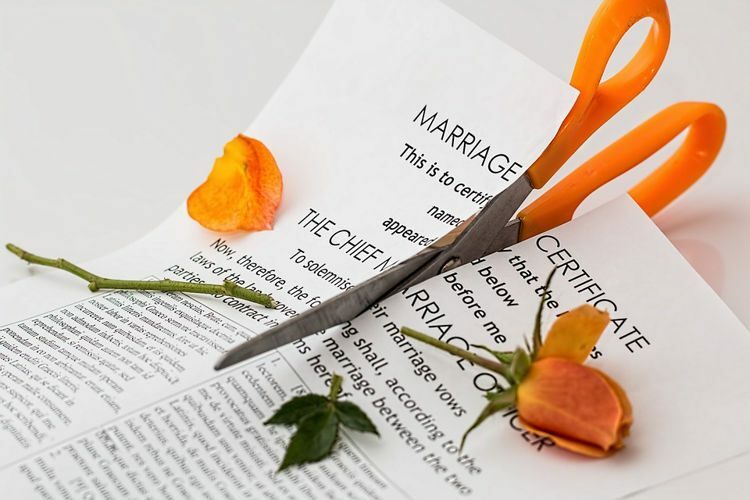 As per the contract the groom and his father-in-law had signed, the newly-married man agreed to pay the bride’s father 100,000 Dirhams ($27,224) in two installments – 50,000 Dirhams ($13,612) upon the signing of the marriage contract inside the Sharia office, and the other 50,000 Dirhams upon leaving the court building. Here’s something you don’t read about every day: an Indian man who had only been married for six days helped his new wife marry her lover so that the three of them could be happy together. 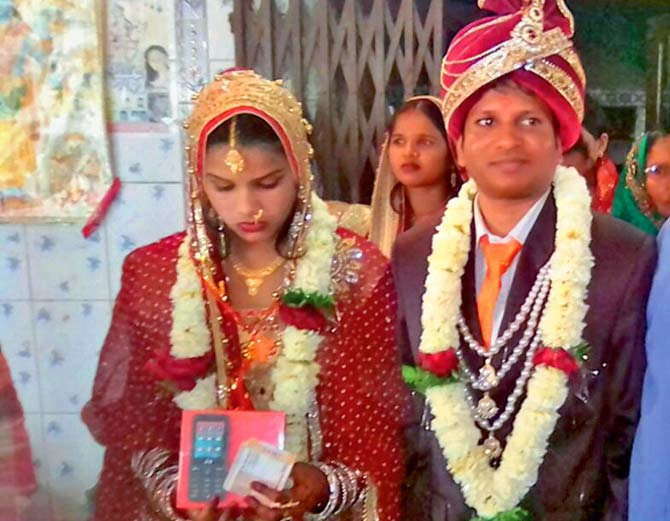 On March 4, 28-year-old Basudep Tappo, a native of Palmara village, in the Indian state of Odisha, married a 24-year-old woman from a village in Jharsuguda, as per the arrangement made by their two families. Their wedding followed the traditions of the farmer community to which Tappo belonged, and even though no legal papers were signed, the two received the community’s blessings, so they became husband and wife. All was well for the first six days, but then three men from the bride’s home village came to visit and things took a bizarre turn. The three men, one of whom claimed to be the woman’s cousin, were welcomed by Basudep’s family into the couple’s home. At one point, two of the men left the house to visit the village, while the two cousins remained home alone. Unfortunately for them, the neighbors didn’t approve of a strange man being alone with a newlywed woman, so they descended upon the house and beat up the audacious ‘cousin’. An Indian groom returned home with a different wife that the one he had originally intended to marry, after his bride-to-be refused to go ahead with the wedding upon seeing that he was balding. Dr. Ravi Kumar’s family had arranged his weeding to a girl in Sugauli village, Bihar, more than a year ago, and all there was left wad for the couple to finally meet and get married in a traditional wedding ceremony. 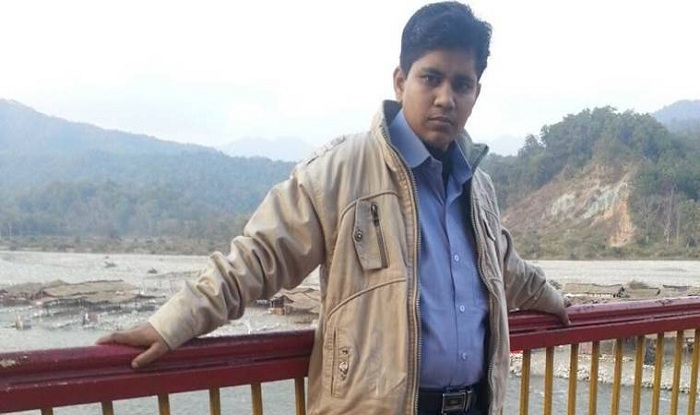 As the set date of February 18, approached, Kumar, a neurosurgeon, traveled with his family from New Delhi to Bihar, but he never actually met his bride-to-be until his wedding day, which turned out to be a big mistake. After all the rituals were completed and all there was left for the betrothed couple was to enter the wedding pavilion to be married, disaster struck. Kumar removed his traditional headgear and his bride-to-be noticed that he was balding. 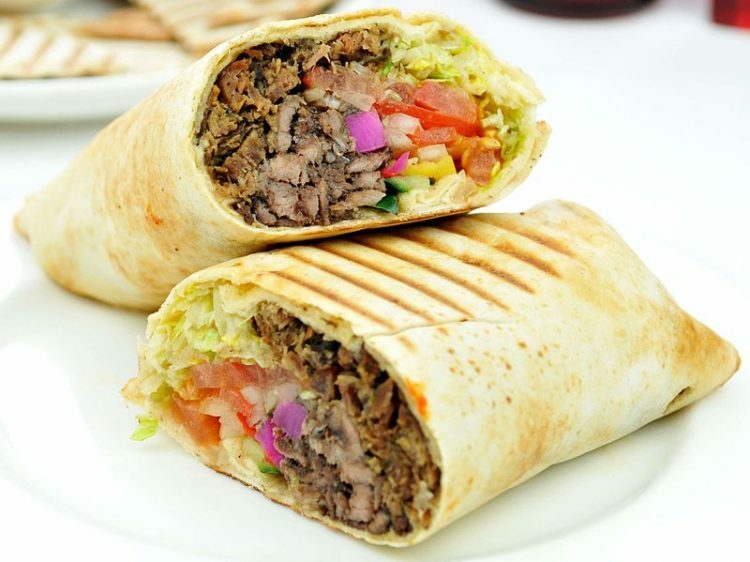 A 30-year-old woman in Egypt recently filed for divorce from her 32-year-old husband after only 40 days of marriage on grounds that he is so stingy that he refused to buy her a shawarma sandwich on their first and only outing as a married couple. Speaking before the Family Court in Zananiri, the young woman, known only as Sameeha, said that the shawarma incident was the straw that broke the camel’s back. She had married Ahmed, a teacher, after only knowing him for two months, which apparently wasn’t long enough for her to realize how incredibly stingy he was. However, his frugal nature became very obvious right after their traditional wedding. On their first day of marriage, Ahmed allegedly told his wife that he hated going out because he viewed it as a waste of money. She didn’t pay much attention to his words then, but things got worse with each passing day. Krishna Sen, a woman from India’s Uttar Pradesh state who posed as a man for over 4 years, was recently arrested for marrying two women and harassing them for dowry. Krishna had always been a bit of a tomboy, but in 2013 she went a step further, adopting a male persona on social media and approaching women online in hopes of starting a romantic relationship with them. She started wearing men’s clothes, cutting her hair short and even changed her name to Sweety Sen. Over the course of three years, the disguised woman managed to convince two women to marry her, and then started pressuring them and their families for dowry. 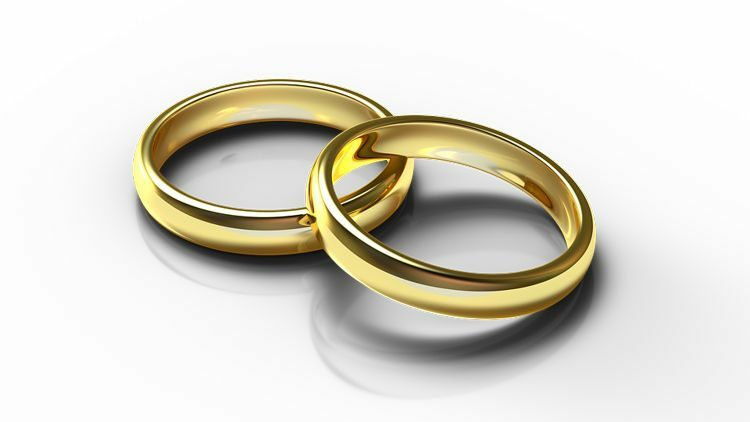 Two male Irish friends, neither of which is gay, have decided to get married in order to avoid paying a hefty inheritance tax. It sounds like the plot of a Hollywood comedy, only in real life. Michael O’Sullivan, from Stoneybatter, north Dublin, has been friends with Matt (surname not disclosed for privacy reasons) for almost 30 years. Both are in their 80s, and O’Sullivan is now Matt’s caretaker and stands to inherit his home and other possessions. Unfortunately, because of Ireland’s Capital Acquisitions Tax (Cat), which applies to gifts and inheritances over specified amounts, Matt would have to pay 33% to the government. However, the tax does not apply to gifts or inheritance given to a spouse or civil partner, so the two men decided that the best way would be to get married. When it comes to getting money, some people will do just about anything, even marry their relatives. Take 25-year-old Mauricio Ossola, from Argentina, who last year married his 91-year-old great-aunt, so he could collect a widower’s pension after she died. Mauricio moved in with his great aunt Yolanda, in the city of Salta, north-west Argentina, eight years ago, after his parents split up. 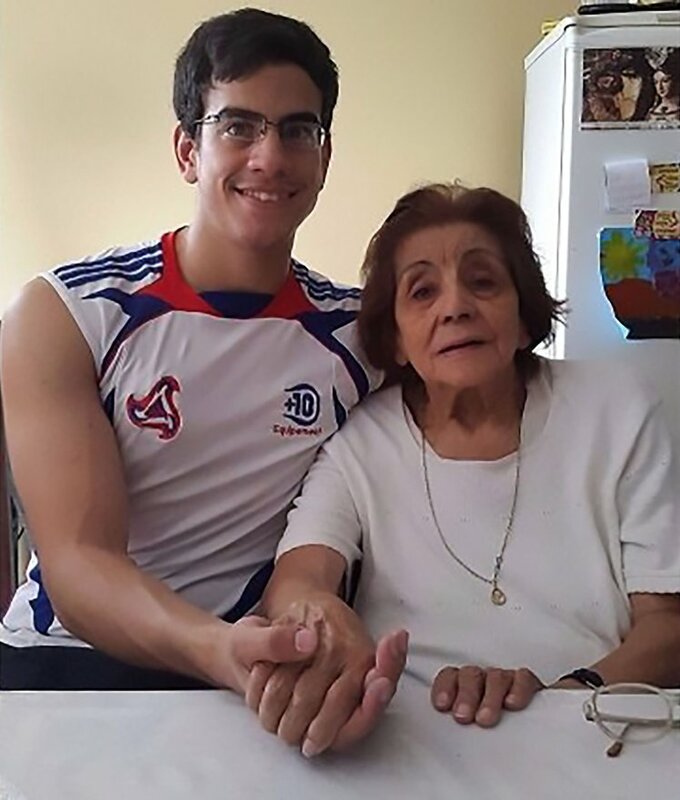 He, his mother, her brother and his grandmother shared a home with the elderly woman in the neighborhood of Tres Cerritos, and apparently got along very well. So well, in fact, that two years ago Yolanda agreed to marry Mauricio so that he could collect a widower’s pension after she was gone. The then 23-year-old had told the woman that he planned to quit his law studies due to financial constraints , and she assured him that she would do everything she can to make sure he graduates. The young man recently admitted to reporters that he was the one who proposed they get married, and that she accepted. They tied the knot in February of 2015, in what he describes as a “discreet civil ceremony”. 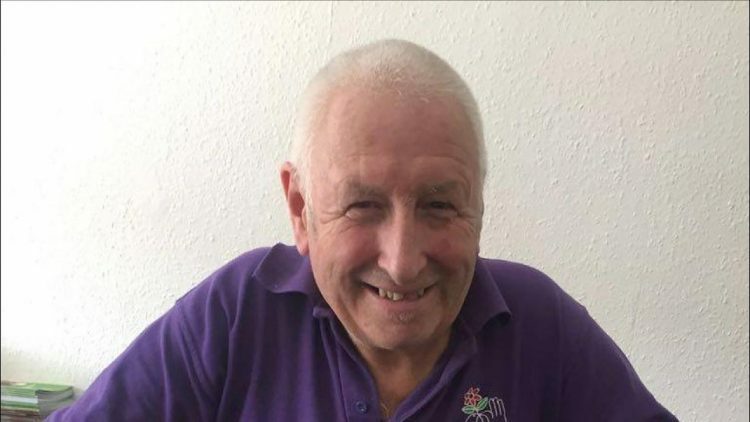 A 62-year-old man from Birmingham, England, recently made news headlines after revealing that he had lived in the forest for five years before moving into a homeless shelter, just to get away from his nagging, controlling wife. Malcolm Applegate worked as a gardener for most of his life, and enjoyed tending to people’s gardens. It wasn’t until he got married, about thirteen years ago, that his life took a turn for the worse. He claims that in the beginning, he and his wife got on pretty well, but as he became increasingly busy with work, she became more controlling, to the point where he had to cut his hours just to please her. At one point, all the arguments and his wife’s nagging got too much for Malcolm, so he just packed up his things and left her. But instead of moving to a friend’s house and filing for divorce, he just disappeared. Claire and David Burke have been together for 16 years, happily married for 7 years, and even have a son together, but they’ve never moved into the same house. They spend their free time as a family, but when it’s time for bed, they say their goodbyes and head to their separate homes. It may not be the most conventional marriage arrangement, but they say it actually it helps make their relationship stronger. Claire, 49, says that they never seriously considered moving in together, and after spending their wedding night in the same bed feeling tired and miserable, she and David, 43, decided that giving each other space was the best thing they could do for their marriage. They realized that they both liked the way things were at the time, and that moving in together wasn’t worth ruining their relationship. Claire and David have been living in separate homes, about 4 miles from each other, ever since, and things between them couldn’t be better.